Today, I am told, is Hugh Jackman’s birthday. When his next movie soon comes out — said to be his last as X-MEN character Wolverine — he will have been in our heads as that seminal character for 17 years. It’s hard to overstate how important casting can be to a timeless character. There are plenty of talented people that are dead wrong for their roles. We take for granted that great characters are meant to be, just as they are. But so much goes into the creation of a character that moves us — story, design, voice, attitude, dialogue, look, fellow cast members, budget, cultural climate — that the norm is a missed opportunity. Not this time. So, happy birthday, Hugh. Len Wein (see middle below) created Wolverine’s essence in 1974. Cal Dodd (see beside Len) brought us Wolverine’s voice in 1992. Then Hugh Jackman (near below) finished the job in the year 2000 by bringing us Wolverine’s living incarnation. 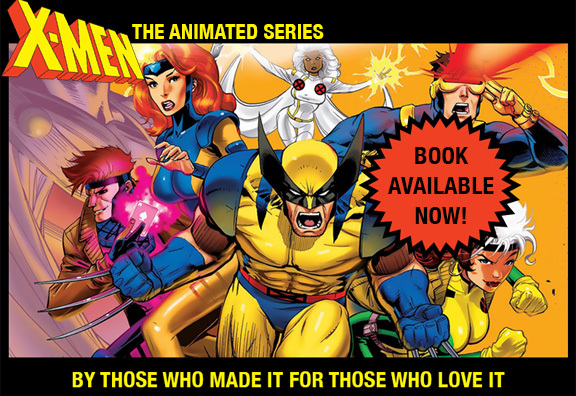 As we celebrate a special Wolverine Wednesday with X-MEN:TAS designer Will Meugniot’s recent sketch, we thank these three and the hundreds of others who have contributed to making this character important to us.